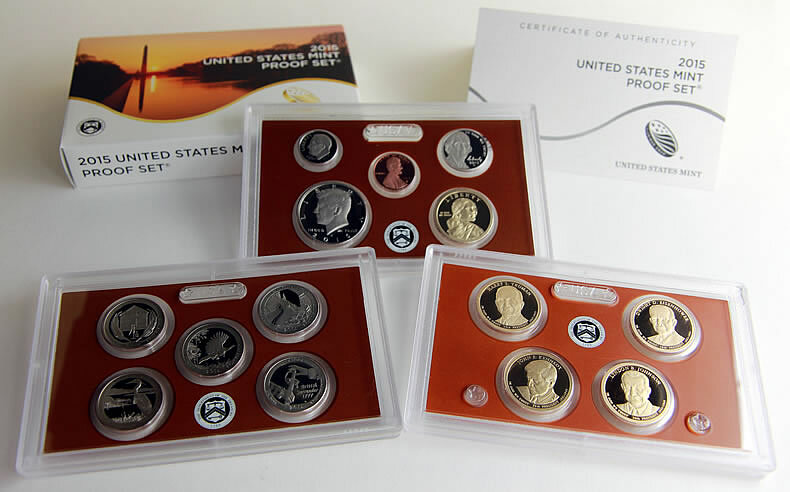 Last year’s clad proof set was the Mint’s best weekly seller. It was also one of the sets to log stronger sales increases than a week earlier. Apart from seeing weekly gains of commemorative Mark Twain Gold Coins, there’s not a whole lot of excitement in browsing the latest batch of United States Mint sales figures. The proof Mark Twain coin rose 1,439 to 7,432 while the uncirculated issue added 528 to 3,518. Combined, their sales are at 10,950 for 11% of the maximum 100,000. 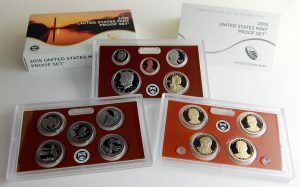 New U.S. Mint products are still few this early in the year so older ones dominated the sales charts. Last year’s three core sets led them all, as shown by our weekly list of the Mint’s best sellers. They also logged stronger sales than a week earlier. In addition to major sets, some of the Mint’s better performing products included gold coins. The remaining 2015-W Proof American Gold Eagles were among them, as were a handful of First Spouse Gold Coins — although their sales improvements were very, very modest. The biggest gainer in the group was the one 1-ounce proof Gold Eagle, up 636 compared to 148 previously. It ranked ninth on the popularity list. The U.S. Mint published sales updates to 206 numismatic products. Forty-three of them outperformed their prior weekly sales compared to 114 previously. Five of them increased by more than 1,000 units compared to 4 previously. Five had their sales reduced compared to 0 previously. Below are tables showing the latest sales for U.S. Mint numismatic products. The sales period covers Jan. 18 to 24. Products with an asterisk (*) are no longer available.